It's been too long since I posted a Stick Figure Asperger's comic, sorry to anyone waiting for the next one. Six upcoming episodes are already written, and there are more planned, but I got busy around Christmas. Also I'm terrible at managing my time, and doing things that feel like work. But I'm working on the next episode now, and hope I can get it out before next weekend. 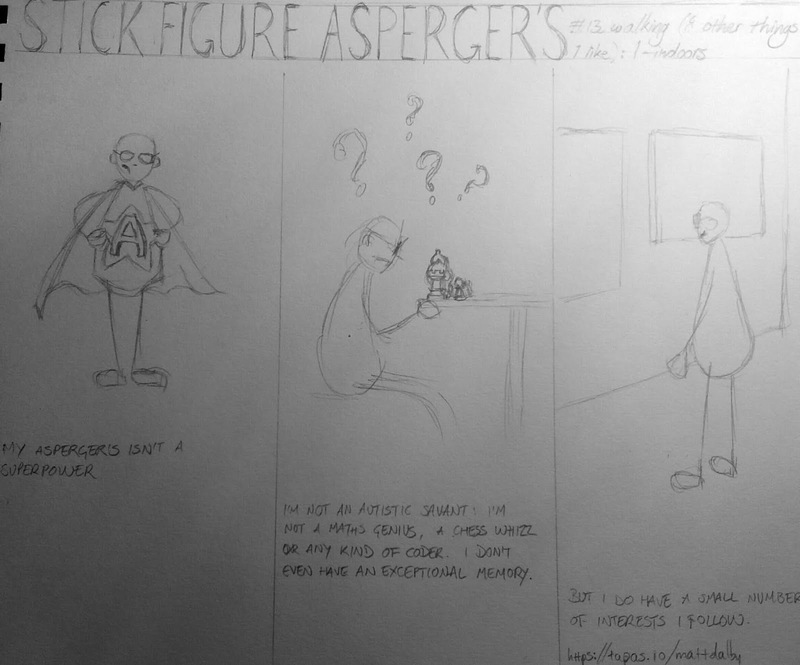 In the meantime, if you haven't seen the comic before or just need a reminder you can check it out at https://tapas.io/series/Stick-Figure-Aspergers.